"A temple destroyed by divine wrath... An ancient, imprisoned evil and a powerful idol. Mysteries abound in the tombs below the temple of the Iron God, protector of the dead. Discover the dreadful fate of the Iron God's priesthood and the reasons behind their downfall in this intriguing adventure designed for low-level characters. Tomb of the Iron God covers a large catacomb area on two levels, with 58 keyed locations and six new monsters. This is a Swords & Wizardry (0e) dungeon crawl for four to five characters of 1st or 2nd level, by ENNIE-award winning author Matt Finch" October is Halloween for the kids but many of us OSR guys we know that's the prelude to the Sword & Sorcery OSR campaign time during the long Winter months. With the Astonishing Swordsmen & Sorcerers of Hyperborea mega Kickstater going off,"New Kickstarter campaign launching on Halloween! Four new products for Astonishing Swordsmen & Sorcerers of Hyperborea; Hyperborea Players' Manual, Hyperborea Player Character Folder, Hyperborea Referee's Screen, Rats in the Walls and Other Peril". Jeffrey Talanian let the cat slip out of the bag about twenty hours ago on G+ & other social media. What does this have to do with the O edition version of Tomb of the Iron God for Swords & Wizardry?! "For centuries, nearby hillfolk have brought their dead to the Tomb of the Iron God, a largely-forgotten minor deity of the underworld who guards the spirits and bodies of the dead. A community of monks has maintained an ancient temple above the god's sacred underground catacombs since before recorded history,performing funeral rites and bringing bodies below to rest in the Iron God's protection." "However, the monks of the temple became corrupt and venal, and under the leadership of one monk, Ardarus, they began accumulating treasure and secretly raising an army of undead to take control of the villages surrounding the Monastery. About a month before the adventure begins,the High Priest, who remained loyal to the Iron God's true commands, denounced the renegade monks and ordered them to bring Ardarus before the statue of the Iron God for judgment. Furious, Ardarus took and imprisoned him, seizing control of the temple to declare himself high priest. But On the very night the high priest died of starvation, the Iron God visited a terrible vengeance upon these disloyal servitors. Lightning struck from the heavens, lighting the dark skies for hours as every building of the temple complex was blasted from existence. The renegade monks were transformed into statues of living iron, still conscious but trapped in their almost-immobile bodies for all eternity. The subterranean catacombs under the temple still remain, filled with the treasures accumulated by the avaricious monks. The god, also, remains living within his great Idol in the Sacred Catacombs where he guards the dead entrusted to him. One other being remains as well, an immortal evil imprisoned a thousand years ago by the god himself - the Eater of the Dead." Everything in this adventure pairs the PC's against the forces of the Iron Priests & the monsters of the tomb. Factions & monsters that we heard about in the World of Jordoba Player's Guide. Here the rumors & threads of the player's guide come together in the form of the ruins of the tomb. Necroamancers are going to have a bad time at the tomb. Even though this is a first level PC dungeon its a really nasty one & very dangerous. The adventure contains lots of new elements specifically for Tomb of the Iron God for Swords & Wizardry. Why is this important?! Because they're keyed for this adventure but they have been adapted into the world of Jordoba setting. This places them squarely at the feet of the dungeon master to use elsewhere. Yesterday I mentioned that the world of Jordoba was like dimensional cheese cloth & rotting from within its own universe falling into the multiveral planar void. This means that The Tomb of the Iron God can be upon Jordoba while at the same time appearing in Greyhawk or Blackmoor. Imagine walking into one world for the dungeon & crossing the dimensional threshold unto another universe entirely. Walk across Jordoba & you might end up upon Astonishing Swordsmen & Sorcerers of Hyperborea's Hyperborean setting. This takes the adventure from the realm of Swords & Wizardry into the pull of appendix N style stories such as Clark Ashton Smith's Sword & Sorcery settings such as the Hyperborean cycle & the Zothique tales. The world's cycle of years has moved on & now its time. The Tomb of the Iron God belongs to a different order & a different older reality then that of Jordoba. This makes the tomb a very dangerous location whose local space time could cross into other worlds & times. Solving the riddles, traps, & monsters of the Iron Tomb maybe only the beginning. But is the Tomb Of the Iron God solidly done?! Yes its cartography is easy to read, the artwork & layout are easy on the eyes & the module is still a fine addition to any OSR Sword & Sorcery dungeon master's line up! Five out of five across the board. "The World of Jordoba is the masterpiece swords & sorcery campaign setting written by ENNIE award-winning author Matt Finch. Jordoba is an ancient world populated by strange peoples and stranger monsters, physically fraying into the depths of the oceanic multiverse. Ruination has spread across the world, and the civilizations of the Sea of Khoramandu are pushed back to the very coasts. And yet, humankind has risen from worse threats in the past eons of its existence. Scattered villages remain in the wildlands, and new barons carve out freeholds in the wilderness, their names scribed upon new maps. Great wizards make sorties into the very shadows beyond reality, seeking forgotten lore and undiscovered frontiers of arcane scholarship. It is a world where unnatural things survive from ancient times, where nameless gods have turned their unfathomable intentions, and where even civilized regions must literally be re-explored. This is … the Weirdling world of Jordoba!" "MandrAknow this, my fellow wanderer;The ancient civilizations around the wine-dark waters of the Sea of Khoramandu arepressed back to the very coasts. Do they not cling to the very coastlines against a tide of beasts and barbarians rising from the inland wilds?Even great kings upon their glittering thrones in the citystates lie awake of nights,knowing that civilization may be in its last days! Even the very fabric of the world is rent and frayed. Oh yes, There are places I know of where you can walk straight through into another world than this, another time than this, even into realms of shadow that lie behind the reality we see. Our world is parting at the seams,companion. The oracles know it. The great mages know it. Astrologers chart a path of ruin in the skies, and the wolves sing their triumph to the five moons. Listen well, for what I tell you is little known and seldom spoken of. We talk of Goodness and of evil, we speak of law and chaos. But these are just the conceits of human morality, the way we order our little, insignificant place in the universe so that we can understand it. In truth, however, there is a far larger conflict at work — the cosmic forces of Order, Balance,and Ruination. This battlemight mean little to you now, when your purse is shallow and your name means nothing.But as you claw your way forward in the world, forces and destinies begin to coalesce around you." Rich dyes and pottery glazes from Ghanzertes river clay. Like I said the dungeon master is given just enough material to be able to customize Jorboda & make it their own for their home games. But what makes Jordoba is the idea of a multiveral cancer spreading across the world consuming the adventure setting as it goes. "Jorboda is physically fraying into the depths of the oceanic multiverse. Ruination has spread across the world, and the civilizations of the Sea of Khoramandu are pushed back to the very coasts" This gives the dungeon master all kinds of lisence to get use old school adventures & OSR material at will. The World of Jordoba Player Guide's setting is solidly done & crams lots of ideas into fifty pages that many other OSR adventure settings take a very long time to do. So for example if a dungeon master wanted to run the classic Keep on the Borderlands in this setting. The keep & all of its kit could be a short ride away. The idea of keeping Greyhawk intact & allowing the PC's to cross into another campaign setting makes this a brilliant adventure addition. I can see using the World of Jordoba with other OSR game settings such as Astonishing Swordsmen & Sorcerers of Hyperborea. The planar rifts & feel of the campaign setting allows parties to make the cross over easily. The fact a myriad of OSR systems could be used to run the Jordora make this a prime candidate for Lamentations of the Flame Princess.The idea of expeditions from a dark historical Europe into a decaying dimensional Sword & Sorcery hellhole has all kinds of appeal as an adventure campaign. Are there certain things that I'd change about the World of Jordoba Player Guide? 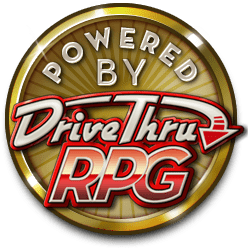 Yes right off the bat there's no print on demand option for Drivethrurpg. Secondly I'd love a large version of the map featured in the Player's Guide as a separate PDF and as another print on demand product.